“We were really disappointed that we couldn’t get any of our reform bills to the finish line, to the governor’s desk, this session,” said Jerry Hobbs, a lobbyist and executive director of the Missouri Education Reform Council, which supports school choice. Gov. Eric Greitens openly supported the creation of education savings accounts, to which corporations can donate to scholarship funds for students who are adopted or disabled to pay for private school tuition or other education expenses. He also backed bringing charter schools beyond the state’s two largest cities. Missouri lawmakers seemed ready to pass a number of school choice measures. Despite optimism from school reform advocates, they ended up empty-handed. 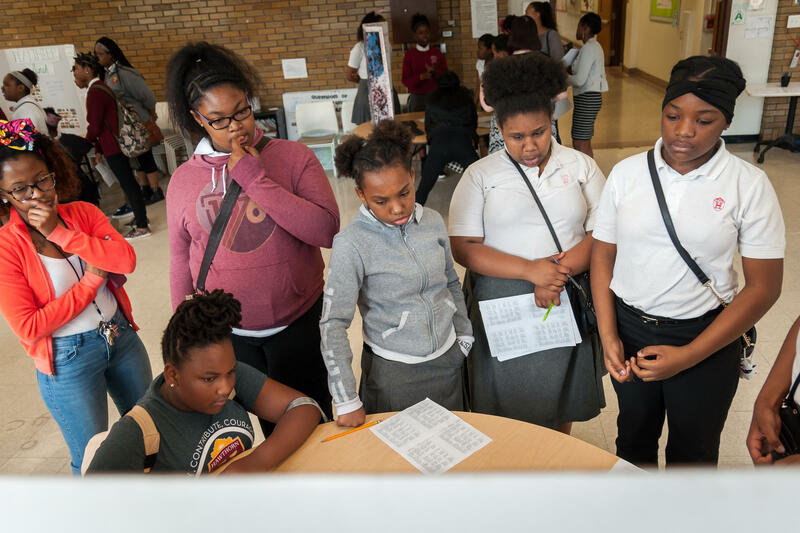 Students at Hawthorn Leadership School for Girls, a St. Louis charter school, watch classmates' capstone project this month. Charter schools, which are publicly funded but independently operated public schools, have existed in St. Louis and Kansas City for nearly two decades. Supporters believe it’s time for suburban and rural residents to have the same choice between their district school and an independent charter. But backers of traditional public schools oppose the expansion, saying charter schools lack a proven track record of accountability and academic achievement. 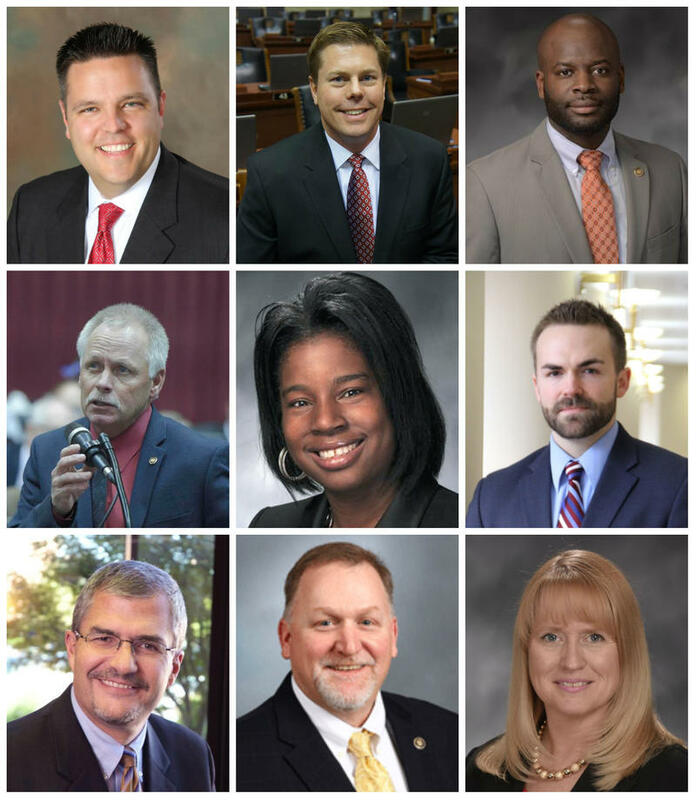 A bill did make it out of the House in the 2017 regular session, but only after it was altered to allow charter schools to operate in what are known as Class 1 counties, which include more heavily populated areas such as Columbia and St. Charles. The Senate didn’t act on the bill it received from the House — not even a vote by the education committee, despite claims by House sponsor Rep. Rebecca Roeber, R-Lee’s Summit, that it had the votes to pass. “I think if it had gotten out of committee, we would of had the votes on the Senate floor,” she said. “Instead of trying to negotiate like they should,” political in-fighting stalled the measure, Hobbs said, adding lawmakers spent too much time early in the session on bills targeting labor unions for there to be enough political will remaining to take on education policy. Rural representatives are still skeptical of charter schools, and the state’s traditional school lobby also effectively fought against the measure, Roeber said. “They get their people out and are generally against any change to the system at all,” she said. It’s OK that reform measures will take another year to get done, according to Michael McShane, education policy director of the Show Me Institute, which backs school choice. 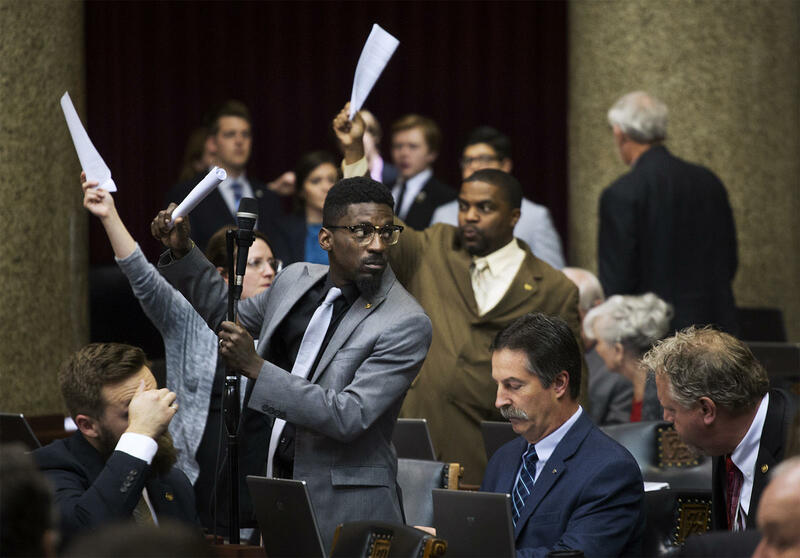 House Democrats, including Rep. Bruce Franks Jr., raise their hands to speak during the final days of the 2017 Missouri General Assemby session. Two major, but ultimately separate issues, were combined into a large education-related measure: the state’s student transfer law and the creation of education savings accounts. Revamping Missouri’s student transfer law has been on legislators’ wish list for several years. Former Democratic Gov. Jay Nixon vetoed a proposed fix in 2014, citing the diversion of public dollars to private schools. He vetoed another bill in 2015 because it would have allowed charter school expansion plus given students the ability to transfer to both charter and online virtual schools. GOP leaders didn’t even bother trying to change the transfer law last year, opting to gamble on a new governor they believed would be more receptive. While Greitens hasn’t talked much about the student transfer law, he’s championed the savings accounts idea. 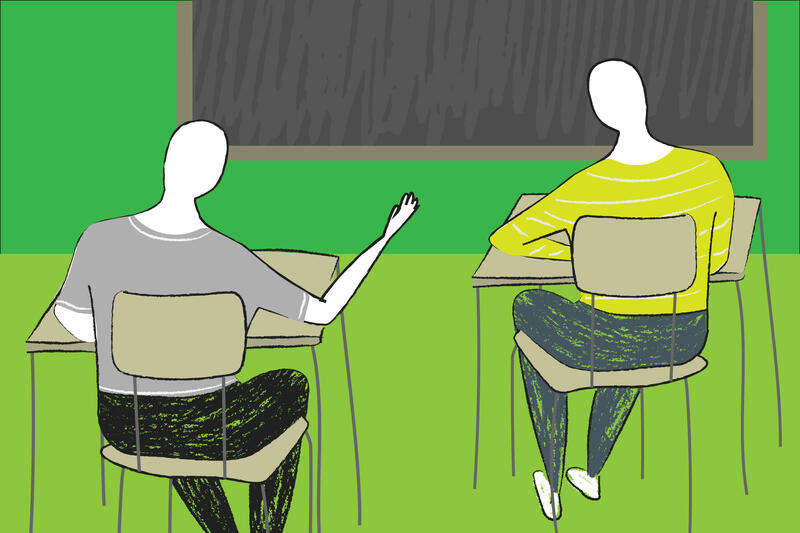 The current law mandates that state money used to educate an individual student has to follow that student to any school he or she transfers to — a loss of critical funding for an unaccredited school district. This year’s school transfer provision would have allowed students in failing public schools to transfer to nearby non-failing schools, both public and private. Under current law, the amount of state money used to educate a student has to follow that student to whichever school he or she transfers to, and if the cost of educating the student at his or her new school is higher, the unaccredited district has to pay that higher amount. The bill would have exempted failing school districts from paying higher amounts for students who transfer. Normandy is one such district. It’s currently under state control and has seen 550 students transfer out. Superintendent Charles Pearson supported the measure, saying it would have kept money in his district. “Students would have had to attend one of our schools at least a semester, which would’ve been helpful,” he said. The other provision in the giant education bill that seemed to be favored early in the 2017 session would have created education savings accounts, or ESA’s, letting disabled students, foster kids and children of military personnel used state money to, among other things, attend private schools. Republican Sen. Andrew Koenig of Manchester sponsored the original ESA bill before the student transfer fix and other provisions were tacked on. He said the wide range of topics doomed its chances. “I’m not saying I didn’t have the votes, I might have had the votes, but the speaker (Todd Richardson, R-Poplar Bluff) was a little bit unwilling to pull the trigger unless I, for sure, had the votes,” Koenig said. He plans to sponsor the ESA bill next year and hopes it won’t get loaded up again with other subjects. Education advocates opposed Koenig’s bill, saying the ESA and student transfer portions would have funneled public money to private schools. The real problem is big state government trying to gain more control over local school boards, according to Brent Ghan, School Boards Association spokesman. Greitens said he may call several special sessions this summer to address GOP priorities that failed to pass during the regular session, which ended May 12. As to whether that would include the creation of education savings accounts, press secretary Parker Briden said that all options are available.